Toni and David Yarnell have recently established two annual awards at The Cooper Union: The Toni and David Yarnell Merit Award of Excellence in Architecture and The Toni and David Yarnell Merit Award of Excellence in Art. 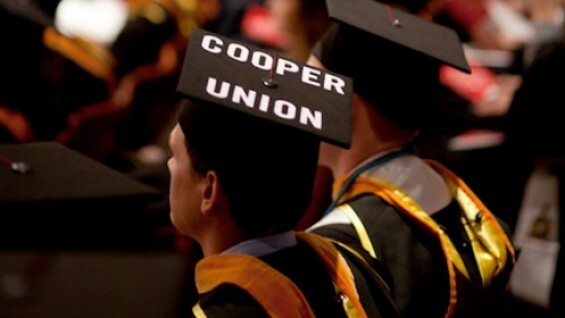 The awards will be presented each year at commencement to two graduating seniors of The Cooper Union, one from the School of Art and one from the School of Architecture. The Yarnells established these awards as their way of “giving back”. Yarnell’s program credits as producer include: FIRING LINE with WILLIAM F. BUCKLEY; AMERICAN MASTERS: BILLIE WILDER; NEW LOVE AMERICAN STYLE; IN CONCERT music series; DEEP IN MY HEART feature film starring ANNE BANCROFT; and other news, documentary, sports, and talk shows. Toni Howard grew up in Los Angeles. Her career spans a successful series of jobs as a casting director for dozens of films, including TOOTSIE and THE RIGHT STUFF. Toni became a talent agent and senior V.P. with the William Morris agency in the 1980s. Her next job was as Agent and Head of Talent Department at International Creative Management or ICM. Among her clients today are Laura Linney, Samuel L. Jackson, Christopher Walken, Christina Ricci, James Spader, Harvey Keitel, Edie Falco, Stephen Fry, Michael Caine and Michael Sheen. The Cooper Union is deeply gratefully to Toni and David Yarnell for supporting young artists and architects as they launch their careers.